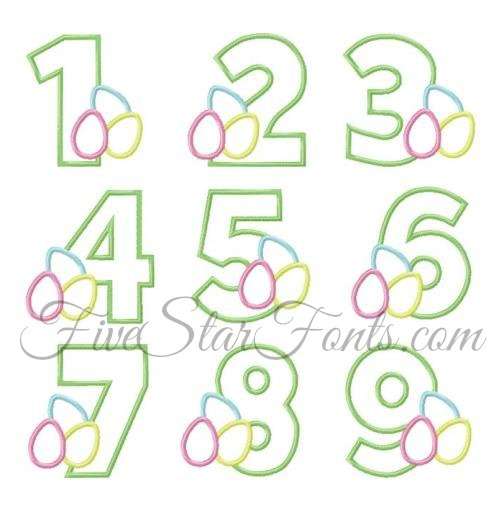 Darling Easter Egg Numbers, simple and sweet, just 4 pieces of fabric. Fast to stitch too! We used our Anna Script Font for Emma's name. The link can be found in 'Related Products' tab above. 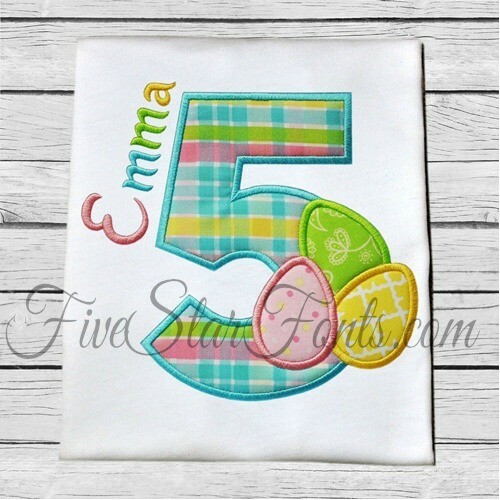 We used our Anna Script Embroidery Font for Emma's name above. 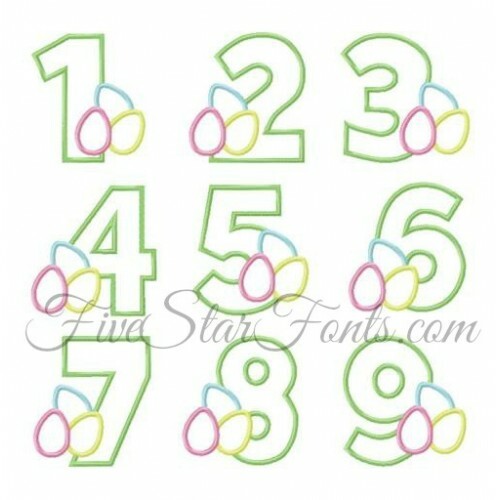 The link can be found in 'Related Products' tab above.